Remaco BKT-562 can do what you really needed. Swinging in the direction up to 180 degrees horizontal and extruding vertical out up to 23cm. Despite its outlook, it can withhold up to 15kg in weight. 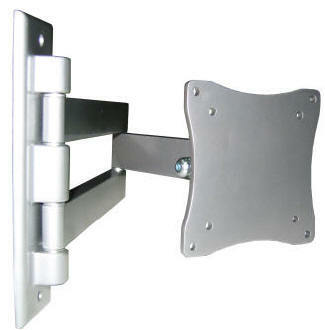 Suitable for most 10" to 24" LCD monitor/ TV.